Ellen Marie Lauricella began writing poetry in 1985 in response to a life filled with strange dreams by night, technicolor wonders by day, and a generalized sense that something must be said about it all. She received a BA from the University of Iowa in 1983 and a MA in Creative Writing from the University of Cincinnati in 1993. Her poems have been published in Mudfish and American Poetry Review, among other publications. Ellen Marie lives in Iowa City, Iowa. In 1996, she met her teacher Garchen Rinpoche, and began to practice Tibetan Buddhism. 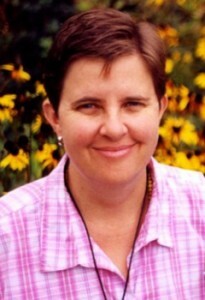 In 2002, she co-founded the Gar Drolma Buddhist Center in Dayton, OH.